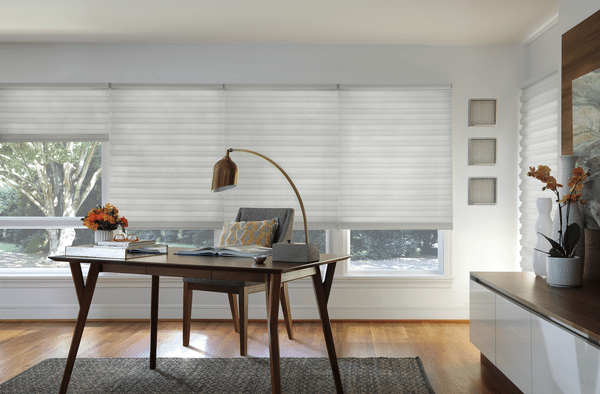 Lower your energy bills year-round with energy-efficient custom cellular roller shades. 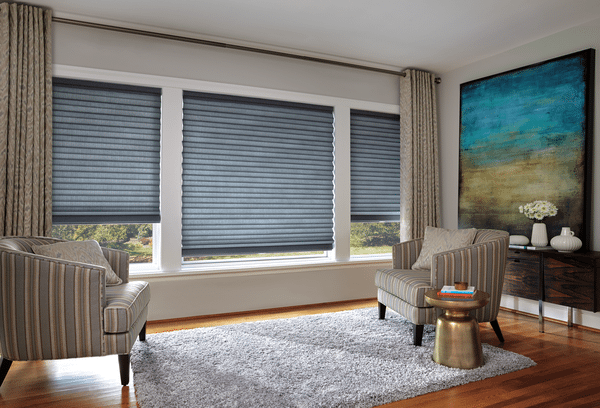 Sonnette® Cellular Roller Shades are the latest innovation in energy-efficient window shades. 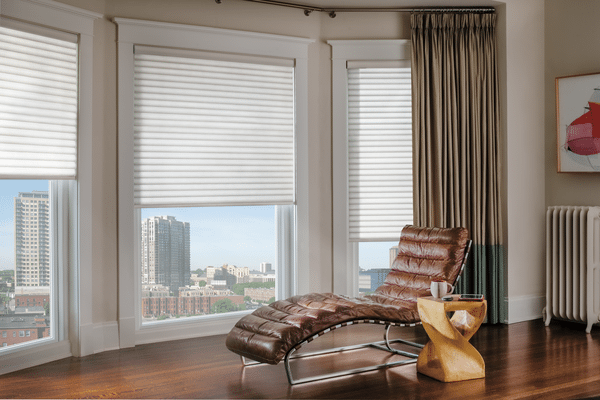 Sonnette® Cellular Roller Shades have soft beautiful curves for a modern look on windows. 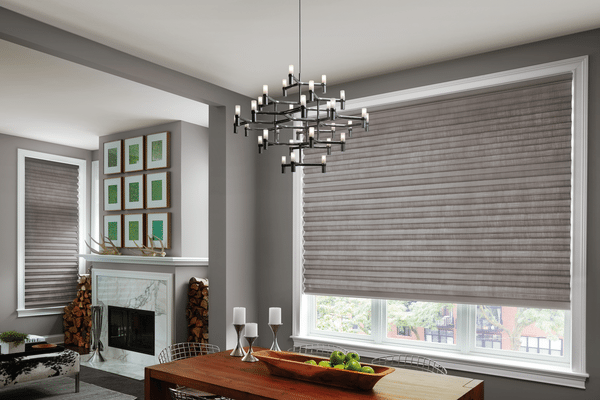 Reduce energy bills with a stylish, soft cellular shade. 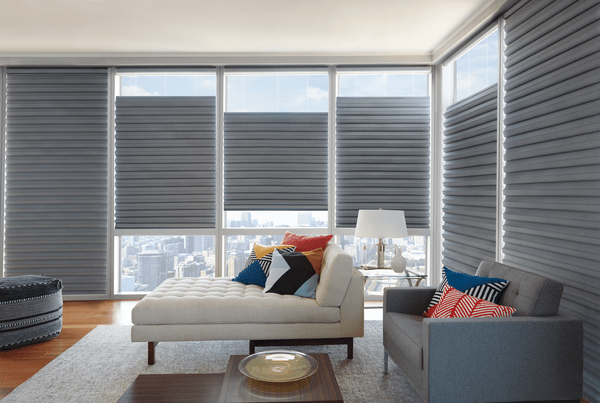 These Hunter Douglas roller shades have a sleek and sophisticated design. Trendy colors for roller shades are grey and neutrals such as beige and off-white. If you are into colors, United Decorators has a stunning collection of colorful fabrics for blinds and shades. 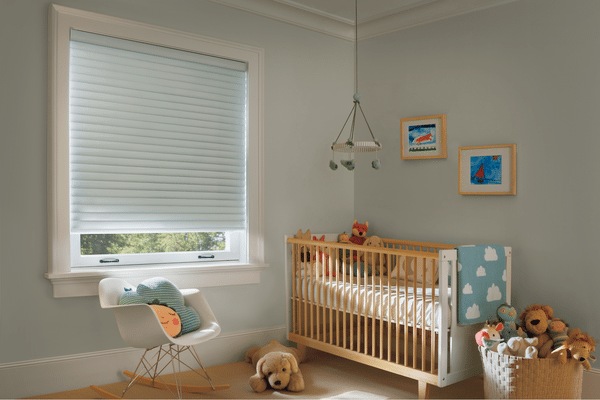 Hunter Douglas Sonnette® Roller Shades are easy to operate. Choose from Hunter Douglas PowerView® Motorization or the new Soft Touch® Lifting System. United Decorators will review all the color choices and operating systems with you during a Free Design Consultation. Honeycomb shades are designed with a unique construction to help keep you stay cool in summer and warm in winter. Duette® Honeycomb Shades are available in energy-efficient fabrics so you can insulate your home at a savings all year long. Reduce your energy bills with Hunter Douglas energy-efficient window shades. The honeycomb construction of this window shade helps you maintain a cool temperature in your home during summer. Reduce energy bills and stay warm in winter too. 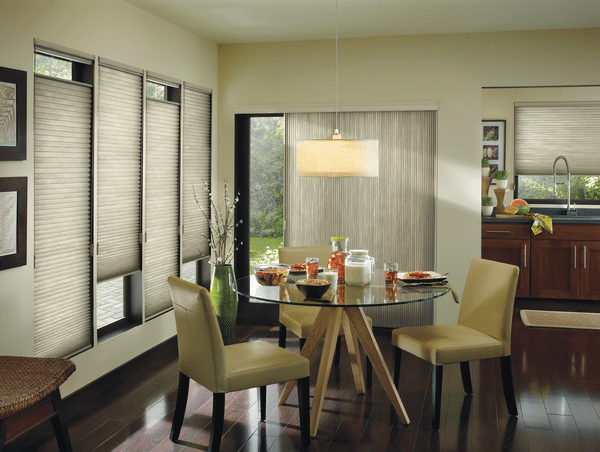 Duette® Honeycomb Shades have multiple layers of fabrics depending on the amount of energy-efficiency you desire. Duette® Architella is a cellular shade with the highest level of energy-efficiency so you can save more on energy bills without compromising style. 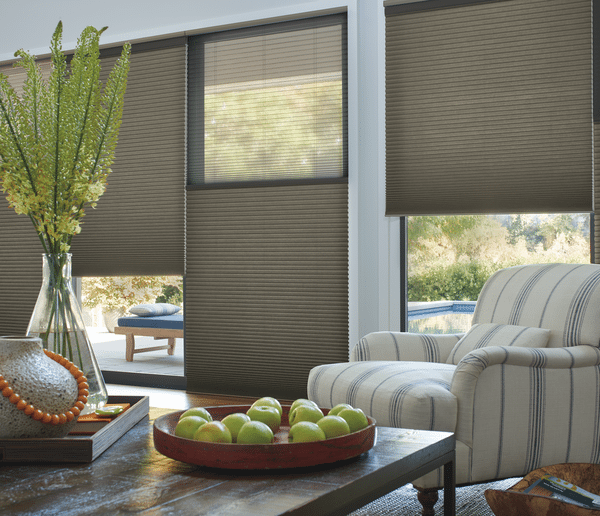 Duette® Honeycomb Shades and Duette® Architella Shades are available in a huge selection of fabric colors to match your home décor. Duette® fabrics have different levels of opacity and you can cover your horizontal windows and vertical window applications with Vertiglide®. Duette® Vertiglide can be used on sliding glass doors, larger windows or you can use it as a room divider. Ask about the Duette® top-down, bottom-up feature that allows you to place your window shades anywhere you want on the window. Maintain your favorite views in every season without scarifying your privacy. 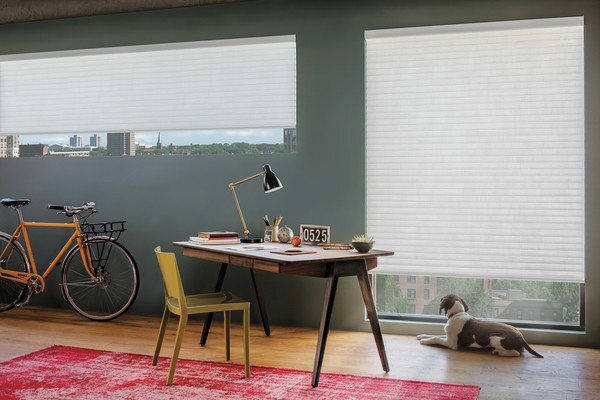 If it’s functionality, you are looking for, Duette® Honeycomb Shades are easy to operate with a cordless blind or motorized window shades system called PowerView® Motorization. 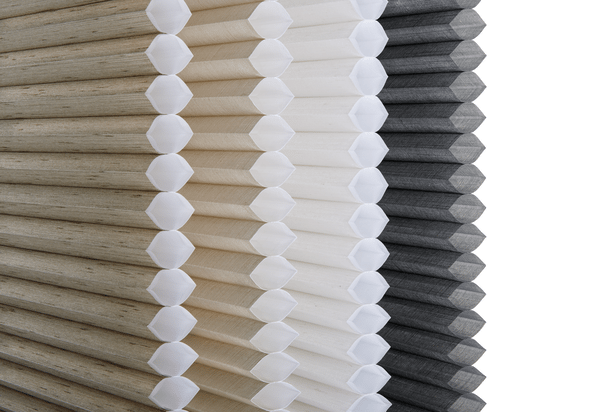 United Decorators can help you select a cellular shade fabric for your home or office. 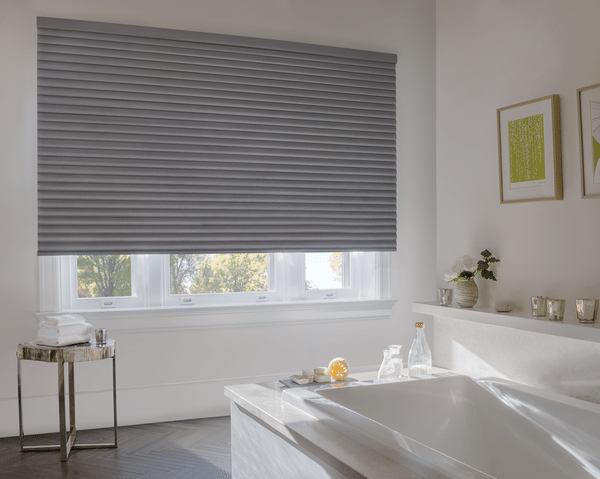 A window treatment expert at United Decorators will work with you to select the best window shades operating system suitable for your space and lifestyle. There is a Hunter Douglas cellular shade for every budget. Coming soon! Duette® Honeycomb Shades will be available in 100% blackout with side tracks so no light gaps will be present on your windows. Enjoy the best night sleep you ever had with blackout shades. 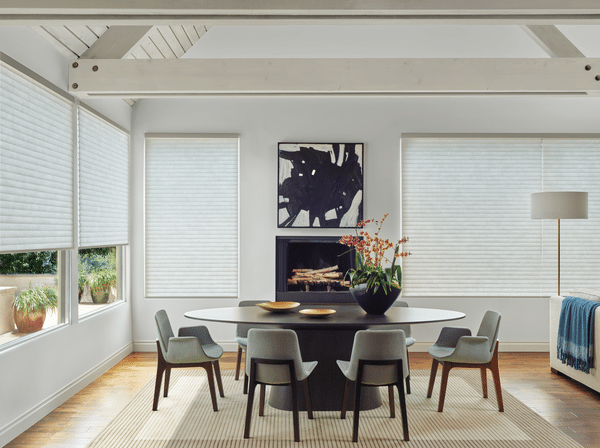 Schedule a free design consultation to learn more about the Hunter Douglas line of cellular shades including Duette® Honeycomb Shades, Duette® Architella and Applause® Honeycomb Shades. Schedule a Free Design Consultation at United Decorators to learn more about Hunter Douglas Solera® Soft Shades. Solera® Soft Shades have a one-of-a kind look. 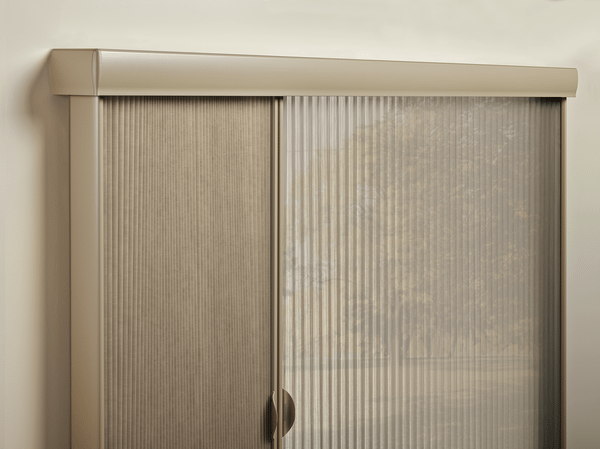 Solera® combines the features of two window shades in one. These window shades combine the soft folds of Hunter Douglas roman shades along with the patented construction of the latest cellular shades. 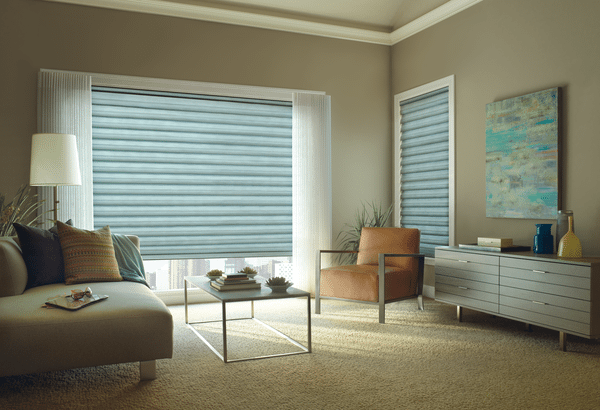 Solera® Soft Shades are available as a cordless blind system or with Hunter Douglas PowerView® Motorization. Consider a cordless window shade system for child and pet safety. The Solera® Soft Shades collection of fabrics is consists of woven and non-woven fabrics. Choose from a huge selection of colors and fabric styles with and without patterns. United Decorators has window treatment experts on staff to help your select the best fabric textures and colors for your home. Ask about light-filtering and room darkening fabrics to suit your everyday needs. Take advantage of natural light with top-down, bottom up features. 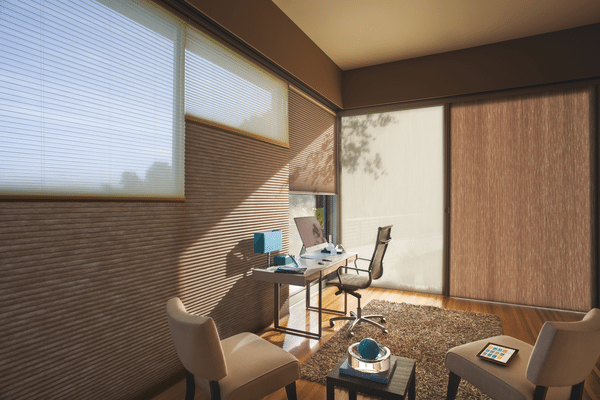 Place the Solera® Soft Shade on any part of your window to filter in light or obtain complete privacy. Solera® is an energy-efficient cellular shade to reduce energy bills at home or in the office. Save money with the purchase of a cellular shade to lower your heating and cooling bills. There can be lots of outside noise in Brooklyn, New York City, New Jersey and Staten Island. Improve the acoustics in your space with a window shade that can reduce outside noise. All Hunter Douglas cellular shades have a limited lifetime warranty and they are manufactured in the United States.